Delloreese Patricia Early was born on July 6, 1931 in Detroit, Michigan USA. An actress, singer, talk show host, and author, the multi-talented Reese first started singing in church in her hometown of Detroit when she was six years old. By the age of 13, she was touring with gospel great Mahalia Jackson; then, at 18, she formed the Meditation Singers and became the first performer to bring gospel music to the casinos of Las Vegas. An actress, singer, talk show host, and author, the multi-talented Reese first started singing in church in her hometown of Detroit when she was six years old. By the age of 13, she was touring with gospel great Mahalia Jackson; then, at 18, she formed the Meditation Singers and became the first performer to bring gospel music to the casinos of Las Vegas. 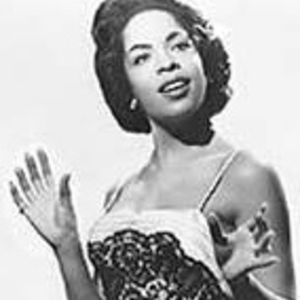 Reese expanded her musical repertoire as a vocalist with the Erskine Hawkins Orchestra and began recording albums, with such hits as "Don't You Know" and "And That Reminds Me" in the 1950s. She appeared extensively as a guest on the top television variety series, logging more than 20 appearances in one year on The Ed Sullivan Show on the CBS Television Network. Reese was nominated for a Grammy Award as Best Female Soloist in Gospel Music in 1987. Tapping into her other skills, she was host of a television talk show in 1969-1970, then began guest-starring in such series as Sanford and Son, The A-Team, Crazy Like a Fox and Picket Fences. She starred in the CBS Network series Charlie & Co. and The Royal Family. Reese's current projects include a new album based on her 27-city tour with her revue, "Some of My Best Friends Are the Blues," as well as song on the Touched By An Angel Soundtrack. Her best-selling autobiography, "Angels Along the Way," is published by G.P. Putnam's Sons. Reese also starred in the telefilms Emma's Wish, with Joanna Kerns, and The Secret Path, with Ossie Davis.